HUNTINGTON, W.Va. (AP) — Officials say a West Virginia man had been keeping two deer in captivity at his home for at least a year. 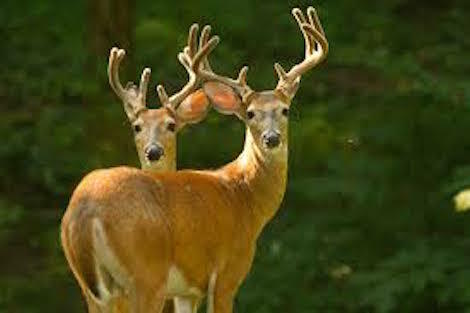 State Division of Natural Resources officer Joshua Addesa says authorities discovered the two white-tailed bucks when they visited the Cabell County man’s home July 4 after receiving a public tip. Addesa says the deer had a supply of hay available to them inside the home. But Ronnie Chapman denied the deer lived at his home, saying they could come and go as they pleased. WSAZ-TV (http://bit.ly/1S8Gn15 ) reports that Chapman paid a $300 fine Tuesday in Cabell County Magistrate Court.